State lawmakers will once again normalize something they instinctively know to resist. Some involve right and wrong. Others warn us of harm. A mother will rush to remove an unknown agent from the mouth of a newborn faster than any thought can materialize. No one needs to be taught that it’s wicked to kick a puppy. We just know. We do our best to rationalize away these certitudes when we find them inconvenient. Yet that feeling in our gut remains. Whatever we choose to call it — conscience, survival instinct, higher power — it’s there to guide us, and we are wise not to ignore it. 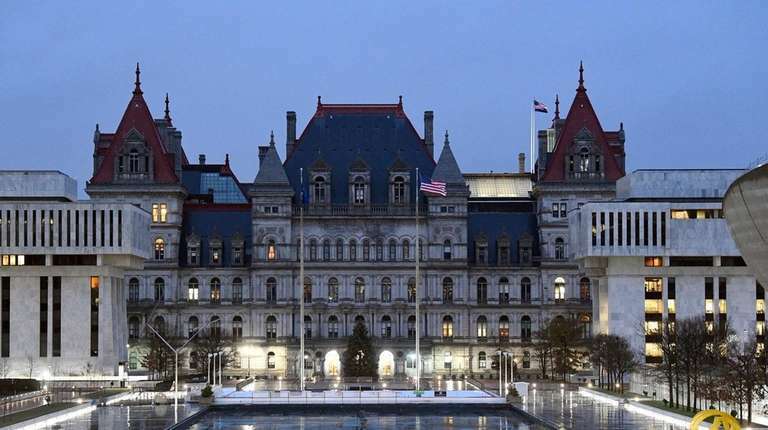 A pair of bills set for passage this year in Albany has to be triggering unease of this nature in the souls of our state legislators, whether they care to admit it or not. They must know, deep down inside, that they’re playing with fire in legalizing the recreational sale and use of marijuana in New York, as they’re about to do, plus professional sports betting. Nearly all in the State Senate and State Assembly, I would bet, will be voting “yes” against their better instincts. Their hunger for new tax revenue, atop a progressive zeitgeist preaching down as up and up as down, will override whatever hesitant feelings they may have. Gov. Andrew M. Cuomo insisted that pot was “a gateway drug” just over a year ago. Now, he’s proselytizing legalization. Senate Republicans relegated to the minority by last year’s elections now call for marijuana revenue to be used for tax cuts after years of blocking legalization. Opponents of marijuana and sports betting can argue till they’re blue in the face against passage. It will do nothing at this point. They can present all the empirical data in the world showing the tragic effects of gambling and drug addiction on individuals and families, the spike in highway deaths in states that have legalized marijuana, the profound mental health risks at play when teens smoke pot, and on and on. None of it will matter because most of our legislators already know that legalizing marijuana is the wrong thing to do, yet they’re choosing to do it anyway. Same goes for sports betting. Why else would they have kept both illegal for so long? What New Yorkers hear now from their so-called leaders are elaborate rationalizations. Superficial arguments contrived to quiet that voice inside. Their arguments will succeed, with the help of expert gambling and marijuana marketers who will convince us of the fabulous advantages of both, and that’s the problem. We will once again normalize something we instinctively knew to resist. We, as a society, will have defined deviancy down, as the late U.S. Sen. Daniel Patrick Moynihan rightly put it. Sports betting and legal marijuana use will not make the sky fall. But ignoring the voice of common sense screaming inside us eventually will. All we can ask of our state legislators at this point is that they listen to their inner voices when these bills come to the floor. No new law is inevitable; we don’t have to go this way.